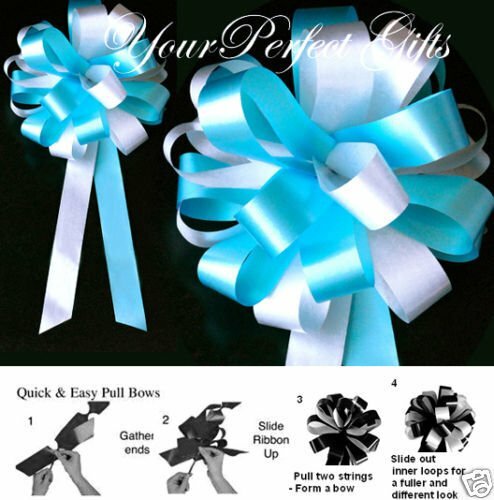 10 TEAL BLUE WHITE WEDDING 8'' PEW BOW BRIDAL DECORATION by your_perfect_gifts at Two Clock. Hurry! Limited time offer. Offer valid only while supplies last.